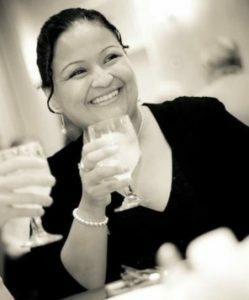 About the Author: Carolina Ayala lives in Toronto, Canada. She has her Masters in Critical Disability Studies and did her major research paper on how her stuttering is affected by her listener. Carolina first realized she was “different” when she started school and was ostracized by her teachers and her classmates. To prevent being teased and bullied, she only spoke when necessary. In 1989, Carolina’s journey with stuttering took a turn for the better. Carolina was given the main role in the Gemini nominated documentary “Speaking of Courage.” This documentary was very uplifting for her, and it gave her hope for the future; stuttering was no longer a death sentence. Two years ago, Carolina went to her first McGuire program course and has worked hard to obtain control and eloquence in her speech. She is thankful for finding this great program and awesome support system. In her spare time, Carolina loves to travel, enjoys boot camp workouts, teaching college students, shopping and engaging in lively discussions about issues related to disability issues. An excerpt from Myself As I am, Not As Others See Me: Stuttering, Identity and Acceptance (written by Carolina Ayala), a thesis research paper submitted to the Graduate Program in Critical Disability Studies at York University in Toronto, Canada. It was a snowy Friday night, and I had stayed late at my university campus in Scarborough. I had just finished a long study session for my semantics course. I had been at school since noon and was ready to hit the sack. The building seemed deserted. I walked along the bare grey concrete halls to one of the two free phones on campus. I had made the same call twenty times in the past semester, but never without waiting in a line-up. At this late hour I did not have to wait. I dialled the number of the only taxicab company I knew. I mentally rehearsed what I needed to say. “I need a taxi cab to 567 Markham Road. I am at the main entrance of the University of Toronto.” As soon as the female operator picked up and said “Hello?” I began to feel my throat closing up. I could scarcely get a sound out. When this happens, I am not always clear about the reason, but it is often a reaction to feeling nervous. Before I knew it, I was listening to a dial tone—she had hung up on me. I had been hung up on many times before, yet I had never fully gotten used to it. I felt it was unfair that people were not patient with me. However, I reminded myself that people did not know I was a stutterer, as all they heard was silence. After a deep breath, I began dialling the numbers again slowly. I focused on using the speech targets that I had learnt in therapy a few years earlier. I rarely used these techniques because I felt that it made me sound like a robot; now seemed like an optimal time to put it to use. I needed to get home. Once again I called and was barely able to say “Iiii neeeeed a taxxxxiiii….” The same operator said, “Stop playing around!” and she hung up. From her manner, I gathered that she was around my age. Perhaps she thought I was just another student making a crank call. I mustered up my courage and called back a third time, shaking and upset. I imagined spending the night on campus, lying awake on one of those black smelly never-cleaned fake leather couches. I told her matter-of-factly, “Thisss is not a jjjjoke. I neeed a taxi.” I was able to say a few more words, but they seemed to have no impact on her. Again she laughed at me, as if she were mocking me and hung up the phone. By now, I was crying and scared. In the preceding months, my campus had been the site of many sexual assaults on female students. I feared for my personal safety. I also felt hurt to be judged and dismissed. All she had to go on was my voice. This was and continues to be why I sometimes despise using the phone. I took a few minutes to compose myself. I decided to make a last ditch effort at getting a taxi to take me home. The last call was my salvation. An older female voice picked up my call. The operator listened intently as I said, “I neeeed a taxi to 567 Mmmarkham Rd.” About ten minutes later my cab arrived. I climbed in and sat silently throughout the ride, trying not to recall the events of the last hour, and hoping to avoid a repetition. It was a relief to get home where it was safe. Before I went to sleep, however, I decided that I would file a complaint. I did not want other people to experience what I had just gone through. Early Monday morning, I called the supervisor of the taxi operators. I told her about my terrible ordeal and filed a complaint against the operator who had treated me so poorly. Later, I was informed that the operator had been fired for that incident and previous similar ones. I was pleased with the outcome, as it indicated that they had taken me seriously. Their action demonstrated that they valued all their customers, including me. More importantly, they promised that I would not go through a similar ordeal again. The supervisor told all of her staff about me and my stuttering, and instructed them concerning where I normally call from, and where I live. This was a little embarrassing, as it positioned me as a dependant: someone whose movements are monitored, even if for benign reasons. Nevertheless, it is very helpful when it is the middle of the night and I need to get home. I appreciated her thoughtfulness. This is an important memory for me, because it was one of the first times that I advocated for myself. I did not ask someone to speak for me. I spoke out against unacceptable treatment as an adult consumer who knew her rights and entitlements. Most of all, I was heard. It was encouraging that the supervisor was patient and respectful enough to let me get my point across. Although the telephone incident was painful, it boosted my self-esteem and made me a stronger advocate. Well done Carolina, this will hold you in good stead for the future. At the end of the day the result is what counts.Good luck for the future. Thanks for sharing such a courageous story, turning a negative situation into a positive one. Great takeaway inspiring others to do the same. Good luck for the future. Thank you Mr. Slam! I really appreciate it! Best wishes to you as well! Carolina, I am so happy that you shared this story here. I remember when you shared this on our podcast episode. It was as emotionally powerful then as it is now. You are so brave to share your voice, which so richly deserves to be heard. The lessons you’ve learned about self advocacy and that you’re now sharing with others are going to help so many that are not there yet. I am so happy that you are in a good place in your journey and that you’re speaking your mind to help others in our community. Thanks so much Pam! That means so much to me, especially coming from such an amazing woman! Much love! Carolina, Thank you for sharing your story in a way the reader could feel like we were there. Are there things that you do to help making phone calls easier? Any tactics that you could share? Thank you for your comment. I would say that what has helped me the most is my own inner self confidence, knowing that I am a woman that deserves to be heard and that deserves patience from my listener. Letting my listener know that I do stutter has been very helpful to me as well. I also need to be mindful that my listener may not have been in contact with someone who stutters and it is therefore my job to educate them on stuttering and how they can best help us, as people who stutter. I hope this is helpful! I also meant to say that as much as I want to be an educator, there are days when I am not at my best and I am not able to fulfill that role. I think that is okay too. we do what we can, when we can. This story really helped portray real events that individuals who stutter go through! I am so glad that you were able to pull a positive outcome from this experience and advocate for yourself. It sounds like this moment was a turning point for you. Advocacy is such a game changer in any communication difference or disorder. Advocating opens a new realm of opportunities and advantages; I hope this was the case for you. Thank you for posting this story, as I hope that others can gain the courage and confidence to advocate for themselves as a result of reading this! Hi Lexi, Nice to hear from you! Indeed advocacy is very important and I really think it goes hand in hand with self confidence and self love–we are worth waiting for and we are worth educating others how they are helping us or in some cases hindering us. It is still a struggle for me some days but I know that I need to speak up for those PWS that come after me. What a powerful story! I am so glad to hear that the company disapproved of the behavior, but it was interesting that part of their well-intentioned response was somewhat complicated. Your response seems both strong but also practical. Though I’m not a PWS, I’d like to emulate this approach as I face challenging situations that require some self-advocacy. Thank you for sharing your experience! Hi Bec and thank you for reading my article. I really appreciate it. I am glad you found my writing useful. Best wishes on your self-advocacy journey! What a well-written article! We love how you turned a negative situation into a constructive one with your push for self-advocacy. We’re glad to hear that your story had a positive ending and that it increased your self-esteem. As future speech-language pathologists, we are learning about the importance of empowering our clients and encouraging them to advocate for themselves. Has self-advocating become easier as time goes on? Do you have any advice for people who are nervous to self-advocate? Thank you for writing, for sharing your experience, and for educating others. I thoroughly enjoyed reading this excerpt from your thesis! As a graduate student in the field of Speech-Language Pathology, I find the concept of self-advocacy to be especially powerful. From reading this piece, I noticed you that made a reference to a strategy you learned in speech therapy. Provided these context clues, I was curious to know if you found your experience in speech-language therapy to be empowering? Additionally, what advice do you have for individuals who are interested in promoting feelings of acceptance, empowerment, and self-advocacy? Thank you for sharing your story. I have often answered the phone at work just to hear silence on the other end. I had not previously considered that the person making the call might be someone who stutters. I suspect that other people have encountered this as well. Do you have any thoughts on how to avoid unintentionally making the interaction more difficult? Thank you for responding to my paper. I appreciate your question. I think the best thing a listener can do is be patient, and wait (do not hang up so quickly but instead wait it out for two minutes). Active listening also really helps to try to hear from cues from the speaker! It is harder to build rapport over the phone but I think it can be done in how you say things and in waiting for your speaker. Over time, I have learned that it is also my responsibility to share with my partner who I am, a person who stutters and what I need from them. You asked a great question, I hope I responded to it ok. Thanks for reading my article and for responding. I do write about some of my speech therapy journey in my thesis, so if you would like to read my thesis, I would happily send it to you. I would just need your email address. In a nutshell, my experience with speech therapy was not empowering but it was for a specific reason. Several times during my speech therapy journey, I would begin to develop therapeutic rapport with my speech pathologist (my stuttering was a source of great emotional distress to me as a child and teen). Unfortunately several speech pathologists changed jobs, which left me in quite a quandary. Therapeutic rapport cannot be formed with everyone. This incidents were hard for me and therefore I was not very enthusiastic to go back for more therapy for a long time. My advice for people interested in promoting acceptance, empowerment and self-advocacy is do it, do it and do it!!! The more we advocate for ourselves, the more we are educating our community and helping to make the experience better for the next person who stutters. Thanks for sharing your personal story – the attitude you chose to display in that situation is an indication of personal strength and bravery. You say you were judged and dismissed because of your voice and, because of that, you found yourself in a possibly dangerous situation. We could say that your stuttering almost kept you from being safe – but you did not allow it to happen. Brava! I know talking on the phone is often extremely difficult for PWS as the moments and/or types of disfluencies might exacerbate, leading to more frustration and a more negative experience. Is this why you sometimes despise using the phone, still today? Or is it the anticipation of stuttering, neither worse or better than usual, that steers you away? Also, does it make a difference whom you’re talking to? Maybe a friend or family member vs. an unknown individual in some office or a person of authority? Thanks for your response to my paper. I sometimes still do not like the phone because there is no eye contact, the listener cannot see me and in essence may not see me struggle to speak, which leads to being hung up on sometimes. Also, because I have had many negative experiences around the phone, I anticipate stuttering and the fear kicks in. My fear is heightened more around my stuttering when I am talking to a stranger. One difference from that experience to today is that I have some tools to take back control. I need to tell my listener that I stutter and I may need some extra time. This puts me and my listener at ease. Also it is important to take deep breaths and to know that I deserve to be heard! Thank you for sharing your experiences. Yes, we all have experiences we fear. This was a very powerful story. As someone who doesn’t stutter this was eye opening because I never thought about how frustrating phone calls could be. I have a couple questions. First, Is there anything that you can do know that helps you when you make phone calls? My other question is, Is there any advice that you have for people that don’t stutter to help them understand and make someone with a stutter feel more comfortable whether it be a conversation in person or on the phone? Thank you for sharing your story, and I look forward to hearing back from you. I really appreciate you reading my paper and that you empathize with my experience.Today I see things differently, I know that I am a person who stutters but I also I am so much more and for that reason I deserve to be heard. I also need to give my listener a heads up that I stutter. It puts my listener and myself at ease too! In person it is much easier. One sign of a great listener is good eye contact, it shows that you value me and that your not pitying me or embarrassed by looking away. But I also need to be confidant in myself and what I bring to the table. Also, a smile goes a really long way. It makes me feel much more comfortable. On the phone you can say, Take your time, I am not in a rush. One really good tip is do not say the words for someone who stutters, instead be patient and wait because you likely will not know what they want to say. Hi Carolina, thanks for sharing your experience! As a graduate student in speech language pathology I was interested to read about your experience with speech therapy techniques. It seems to me that therapy has since moved away from focusing on fluent speech and more towards acceptance and self-advocacy, which I feel is a step in the right direction. Have you noticed this same change since your time in speech therapy? Do you have any tips that speech language pathologists could use to help people feel more open to talking about their stutter? Yes, I have loved seeing the shift to acceptance and self advocacy. I think a major component of this process is self-love. People need to believe that they are worth it, they are worth people waiting for them because they have many beautiful things to say. In other words, they are worthy. Sometimes to get to this can talk some time because of all the negative experiences but self love and self confidence are very important. The more we discuss these things openly, with SLPs, the easier things it will be to disclose to people that we stutter. In essence we have to remind ourselves that in deed we do stutter, but so what, we all have things to work on. We should be proud of who we are and show people that we stutter beautifully and it is not something we are ashamed of. Thank you so much for sharing this experience. I am currently an SLP undergraduate student, and as of right now I don’t know many people who stutter. Before the class I am currently in I didn’t know anything about stuttering. I never thought about how difficult and scary phone calls could be. Is there anything you can do now to prepare yourself for a phone call in order to try an avoid any blocks? The amount of courage that it took to file that complaint and stand up for yourself is amazing. Thanks for your response. The older we got, the wiser we are. There are several things I do and believe today that help me on calls. I believe that I am worthy of being heard because I have important things to say. I also love my self and I am self confidant in who I am, so what others believe about me does not matter. I think its important to disclose that I do stutter with my listener, because it puts both of us at ease. Thank you so much for sharing this story. As a first year SLP student, I still do not know much about stuttering, and have never thought about how difficult making a phone call could be on oneself. Thank you for sharing your bravery in this story as you opened my eyes to new concepts. Thank you so much for taking the time to read my writing piece! Much appreciated! I really enjoyed reading this. I have a few questions for you regarding your story. First, as someone with a stutter, where do you find it most difficult trying to communicate: on the phone or in person? Second, what is one piece of advice that you would give young people with stutters as they grow up in a world where people may not have much patience for them? Thank you again for sharing your story! Thanks for responding to my piece! I definetley find it more challenging on the phone because of the lack of face to face, no eye contact etc. My one piece of advice is love yourself and know that you are more than enough and that you DESERVE to be heard. Do not let anyone tell you otherwise! This is awesome Carolina! I really admire how you turned a moment of fear and frustration on your part into a learning experience for those around you and gave yourself an opportunity to grow. I can’t image how nervous you were on the night you could not get a cab, I would feel the same way. Great post about your experiences and a really great job teaching others about having patience for those with stutters. Thank you so much for your comments! It makes my heart happy! Thank you for sharing this story from your past, Carolina! It is so incredibly important to advocate for yourself, as your life and safety are valued just as much as anyone else’s should be! As a future SLP, I am curious if you found the speech targets that you learned in speech therapy to be helpful in other situations in your life? Or, perhaps, if there was anything else you were taught by an SLP that you found to be particularly useful? The speech targets are helpful but of course in stressful circumstances it can be harder to use. I found that self-confidence and self-love were key to standing up for myself. It really helped me when SLPs did not just focus on fluency but discussed how my stuttering made me feel and the ramifications. Thank you so much for sharing your powerful story! It was inspiring to see how you turned a stressful and frustrating experience into an opportunity for you to speak up for yourself and future people in a similar situation. I admire your self-advocacy and determination to bring about change in the taxi company. As an SLP graduate student, I am currently learning about how important it is for people who stutter to have self-confidence and embrace their stutter. I think it’s important to make sure clients know their voice matters and is always worth being heard! Thank you again for sharing your experience. Thank you so much for your comments, so nice of you! I really appreciate it! Self love and self-confidence are very very important! Thank you so much fro sharing your powerful testimonial. It takes a lot to stand up for yourself, especially when you feel embarrassed, or like you can’t be taken seriously. This kind of story inspires people more than you know, and it just might inspire a new person everyday to take the steps you did to stand up for what is right. Have there been any other instances since this night where you spoke up for yourself? Thanks for your comments! For sure, I have to advocate for myself many times a week. Some days your speech is great and other days its really bumpy. Sometimes, I even have to advocate with myself and say: if you have something to say, say it, it deserves to be heard. Sometimes the fear of stuttering can creep up on me, but I really have to fight it with all my might and realize my self-worth. Stuttering is a part of me but not all of me! I’m so greatful that you shared such a important memory in your life, but I’m also sorry that you had to go through something like that. What I’m realizing is that a lot of people who stutter go through situations like this. I was blind to this aspect because I would never treat someone so disresectfully. So I guess I assumed majority of people would be like me. While the situation was terrible, something good did come out of it, and that was you advocating for yourself and feeling heard. Thank you for sharing! Thanks so much for your commentary Caitlyn, I really appreciate it! And now this post is helping others find their voice as well. Thank you for sharing such an important experience! I think it is great that you called the company and set things straight not only for you but for other people like you who may have also run into this problem before or in the future. People should be more aware of those who stutter when working in a reception job, it is important that they are courteous and conscious of their actions. Thank you for sharing with us! Thank you Dana, it is important to be an advocate, as much as possible. Thank you for sharing your experience! I am a student in the Speech-Language Pathology field, and what left an impression on me from your piece was your ability to advocate for yourself after a traumatic experience. Do you have an advice for a future SLP to pass on to clients to help them advocate for themselves? Thanks for your comments! I think that SLPs should remember that stuttering is so much more than wanting to be fluent. We need to discuss how we feel, how others have made us feel and how that has impacted us. It is so important for PWS to love themselves and realize that we have a beautiful voice that deserves to be heard and if it takes a little longer, so be it! I hope that was helpful for you! Best wishes on your studies! Dear Carolina. I cannot tell you enough how much I admire you. I am blessed to have been able to meet you, and follow your journey, (not just your stuttering one) and you are such an amazing, beautiful and strong woman. You always get up when you’re down, always see the lesson in a problem and use that to become stronger and help others. You write so clearly that I can feel the situation and your emotions, and recognize them so well. Many of us would have done nothing. But again you turned into a mix of the Hulk and Superwoman and changed the whole situation. And sharing it with us to empower us to not take any s***. You’re all that and I hope our paths will cross again soon. Wonderful share! I really enjoyed your piece because it helped me step into your shoes. I cannot believe sometimes the way people act, I am sorry you had to go through that experience. I am glad you had the courage to stand up and say something about your situation. I am an SLP student and I was wondering if you have any future advice for me?